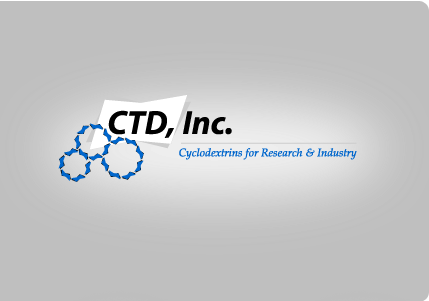 Trappsol® is the trade name given to the Cyclodextrins CTD, Inc. provides to its customers. The Trappsol® name assures you the cyclodextrin you purchase is of the finest possible quality. The letter designations after the Trappsol® (T) name indicate the actual Cyclodextrin (Cyclodextrin); e.g. "B" is for Beta (β). THPG stands for Trappsol® Hydroxypropyl Gamma. Whenever possible, the catalog number will correspond to the cyclodextrin's name. Trappsol® products are organized by commercial category of Cyclodextrin: Alpha (α), Beta (β), and Gamma (γ). While all of CTD's products are of Fine Chemical quality, CTD is also pleased to provide materials suitable for exacting Chromatographic procedures that are listed as Capillary Electrophoresis grade material. Therefore, the same catalog number may have two pricing levels referred to as FC-Grade and CE-Grade. The chemical entity is the same, but the isomeric purity and/or the level of impurities will be different for the CE-Grade, which is reflected in the higher pricing. Within the Fine Chemical category, CTD is also pleased to be able to provide different grades of material, such as Pharmaceutical, Technical, Food, etc. These grade designations are primarily intended for Cyclodextrin's that are produced in bulk. The grade classification for these materials results from the manufacturing standards met by the manufacturer in terms of testing the bulk product before it is released. The different industries (Pharmaceutical, Food, Packaging, Adhesives, etc.) often require different kinds of testing; hence the grade designation is more an indication of the testing that has been done rather than differences in physical or chemical properties. The Trappsol® and Aquaplex® products described on this site are intended for research and investigational uses only. They are not for human, veterinary or household use. (Since the pharmacological properties of the compounds described in this brochure are incompletely characterized, due care should be exercised in their use.) Material Safety Data Sheets and Certificates of Analysis are available upon request.